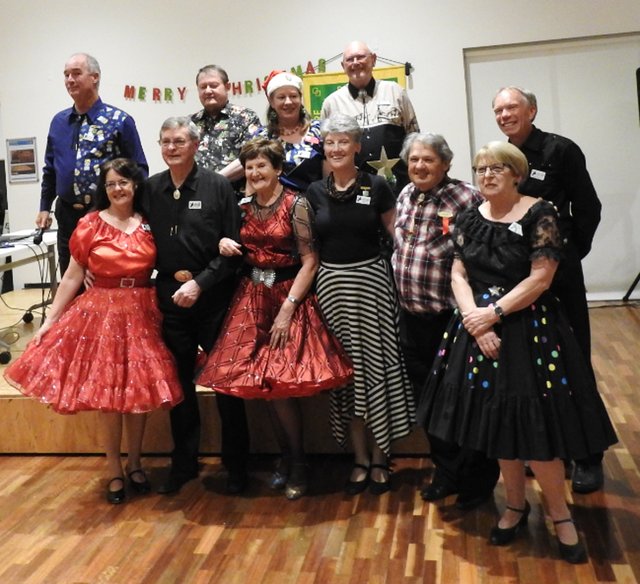 About Us | The South Australian Square Dance Society Inc. The society is a recognised incorporated body, and is therefore responsible to the Government and other legal bodies for all actions of the committee and members. It has a registration number, which means it can be investigated by individuals for any possible reason - thus shifting responsibility from any one individual. Co-ordinates, supports & promotes Square Dancing in SA for the benefit of all Clubs & dancers. Collates & produces an annual 'Calendar of Events'. Publishes a monthly newsletter 'The Round Up'. Responsibility for the finances & bank accounts held by SASDS. Provides financial support to the Clubs towards the costs of running Learners Classes. Presents Mainstream Graduates with a 'Learners Package'. Has responsibility for running The State Convention annually. Provides insurance for Society functions. Liaises with the SA Callers Association and SA Round Dance Association. Liaises with Interstate Square Dance Societies. Provides quarterly reports to be published in the 'Australian Square Dance Review'. Provides delegates to represent SA at various meetings held at National Conventions. Supports an elected committee of dancers who host a National Convention when it is our turn [ normally every seven years ]. South Australian Square Dance Society Inc.